Frank holds a B.S. Degree in Business Administration from the University of Richmond and a Ma ster of Forestry Degree from Duke University. He is a member of the Virginia Forestry Association, the Association of Consulting Foresters, Society of American Foresters, and Forest Landowners Association. Before founding FRM, Mr. Brooks was employed in the industry with Chesapeake Corporation and in business administration with Brooks and Elliott, Inc. Mr. Brooks is primarily engaged in the areas of timberland appraisal and forest investment analysis. Amy is the newest member of our team. She is well versed in Human Resources, Payroll, Accounting, office management and to top it all off she enjoys volunteering with two local fire departments. Amy provides internal administration and accounting for FRM as well as overall supervision of office administration and support of land management activities including management of the hunt lease program for large landowner clients. Bill received his B.S. Degree in Forestry and B.S. Degree in Agricu ltural Economics from North Carolina State University in December 1982. He is a member of the Virginia Forestry Association and served on the Board, the Association of Consulting Foresters and served as State Chair, and the Society of American Foresters. He also received his Real Estate Salesperson license in 2018 and will focus on timberland sales, representing buyers as well as sellers. Bill focuses mainly on Southside and Central Virginia where he manages approximately 21,000 acres of timberland for a timber investment company. In addition, he manages individual harvests and reforestations for a few private individuals. The primary focus is timber production with the intent of maximizing the client's investment now and in the future. Wildlife, recreation, and aesthetics are also taken into consideration along with federal, state, and local laws and guidelines when developing a management plan. John joined the FRM team in May of 2007 following receipt of his B.S. Degree in Forestry from Virginia Tech. He is a Certified Forester and a member of the Virginia Forestry Association, the Association of Consulting Foresters, and the Society of American Foresters. John is a second generation forester and an avid outdoorsman. He enjoys assisting private landowners with timber sales and long term forest management. John manages long term accounts for both institutional investors and individuals. He is also experienced with real estate appraisal, and is working toward receiving his real estate appraisal license. John’s primary geographical work area is the Tidewater Region, more specifically the Middle Peninsula and the Northern Neck. Brian joined FRM in September of 2015. Prior to FRM he gained much experience as a procurement forester with Canal Wood, LLC working eastern Virginia for over 17 years. Brian received his A.A.S. Degree in Forest Technology from Dabney S. Lancaster Community College in May of 1998. 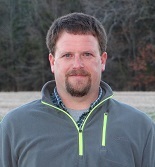 Since joining FRM, Brian’s primary work area continues to be eastern Virginia, assisting private landowners with preparing and conducting timber sales, supervision of harvesting operations, and general forest management. Brian has always lived on the Northern Neck of Virginia and is an avid outdoorsman. He enjoys giving back to the community when time allows by having served 20 years with the Richmond County Volunteer Fire Dept. and supporting the Richmond County Little League.